If you require fishing connectors then you've come to the right place, as SecureFix Direct has the well-built items you've been searching for. Our connectors are used for connecting various fittings to Grade 80 chain, and if you browse our online store you'll be able to select them in various sizes. We're confident that you'll be satisfied with all of our items, so don't hesitate any longer and make your purchase today. 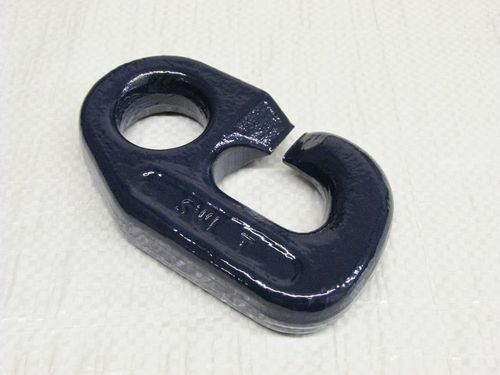 Fishing chain component connectors are regularly used to connect head rings, chain, hook and other lifting components. If your fishing connectors aren't strong enough or become damaged then this will hinder your entire fishing process, so it's vital that you have the right ones for your requirements. If you ever need fishing connectors, or fishing connector spares, then SecureFix Direct should be your first and only destination. When fishing it's important to have the right loading and unloading gear at your disposal, and that's exactly what you'll find at SecureFix Direct. We pride ourselves on our sturdy, long-lasting items that won't let you down. Over the years we've learnt exactly what our customers want from fishing connectors, which is why they always return to our online store whenever they need new equipment. You can also head straight to our store to stock up on fishing chain component spares, so you have something to fall back on just in case something happens to your main connectors. Why choose SecureFix Direct when you want to buy a fishing connector? For years we've been supplying people with the right equipment for fishing, and that's because of our commitment to quality and exceptional customer service. Our popular items will stay strong for years to come, ensuring you get value for money when purchasing one of our products. We also provide help if you're not sure what type of connector you need, as a friendly member of our team is always here to give you the advice you want. For further information about SecureFix Direct, or any of the other items in our store, then please don't hesitate to get in touch with a member of our dedicated team today.